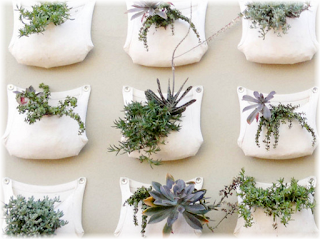 Vertical Bag Garden - The vertical bag garden is in vogue right now. If you'd like to grow a few plants yourself but your backyard soil isn't conducive to keep anything other than crabgrass alive you can start your vertical garden for urban homesteading efforts with a bag garden. This will give you immediate results now and help build your soil for next year. Many former bags on your home can make of potting soil on the top side, leaving enough plastic on the sides to keep the bag together. You can plant many types of seeds directly in the 3-4 inches of potting soil and most will have plenty of room to grow to maturity, but I'd avoid carrots. Lettuces, spinach, and radishes will do very well. Gardening is always synonymous with dirty. 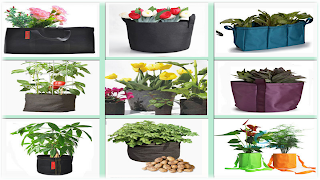 In addition, in the Vertical Bag Garden idea you can get a more practical choice for planting, such as by planting multipurpose bag arranged vertical. Bags commonly used for shoes, slippers, books, snack, or luggage boarding and others, are effective enough to accommodate many plants. It's easy really simply to enter the growing media 3/4 and then enter the seed crops such as mustard vegetables or ornamental plants such as vinca. Well, this way you can gardening with your bag as more practical because one place can accommodate a lot of plants. If you place your garden beds in the area where you'd eventually like to have a permanent garden you'll build good soil by mixing the original potting soil with compost. 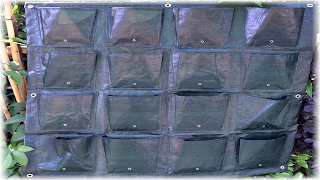 Arrange sheet material screen / filter geotextile form pockets with a certain distance (spacing depending on the small plants). 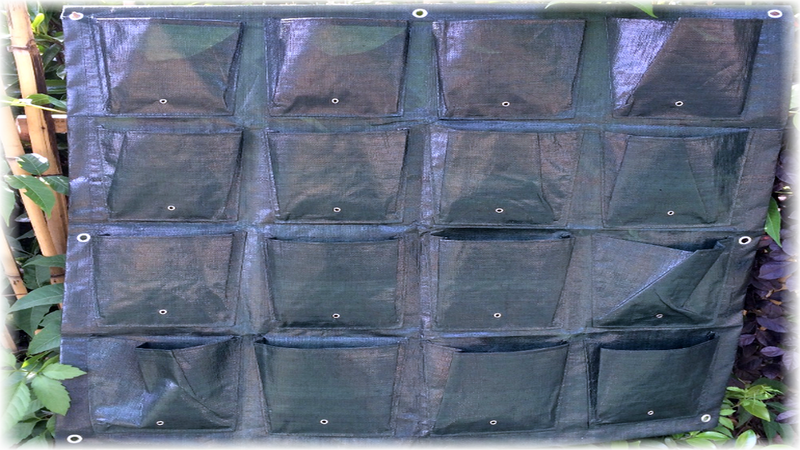 Sew bags/pockets with large fishing line material at each meeting of the amplifier construction on the back (at the meeting of the trunk vertical-horizontal), forming pockets that much and length. Give fertilizer plants both in the media and can be included in drip irrigation. Irrigation can be created automatically by timer or manually do it yorself.